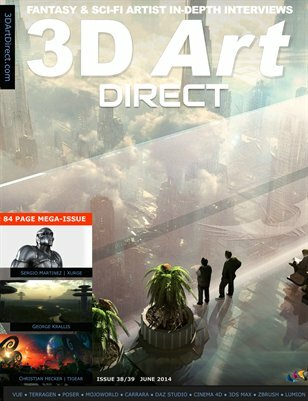 3d Art Direct talks 3d tailoring with ‘Xurge’, maker of the finest quality character suits. 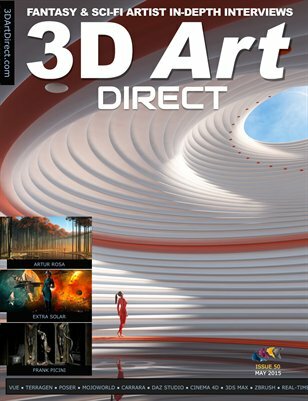 Basking in the Greek sunlight, George makes amazing landscapes with Vue and Photoshop. 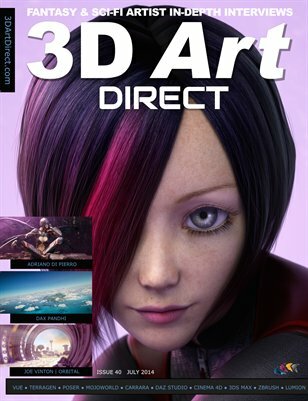 3d Art Direct catches up with ‘Tigaer’, a great artist we last interviewed way back in issue 15. 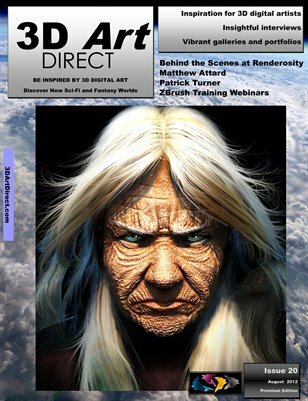 3d Art Direct talks to Nacho about his witty ZBrush creature sculpts, and his love of fractals. 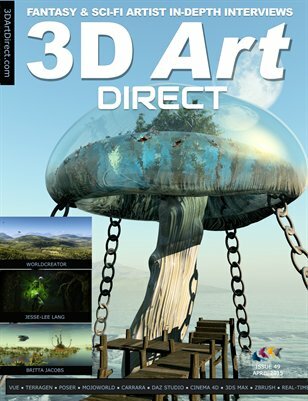 Fractal sci-fi landscapes from a leading crafter of generative planet scenes in MojoWorld. 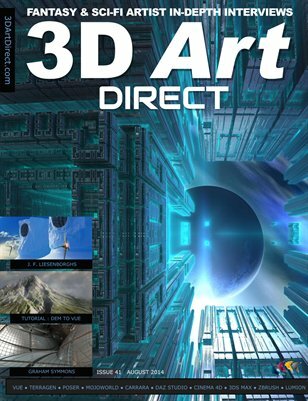 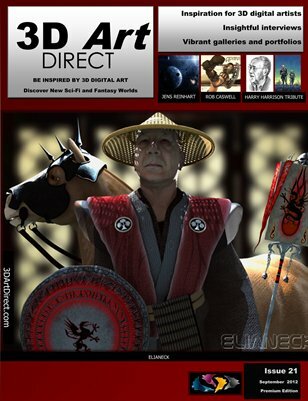 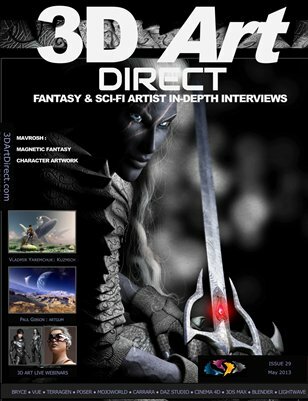 EACH ISSUE 3D Art Direct will boldly seek out new 3d model freebies in the sci-fi and fantasy genres, then test them to make sure they work. 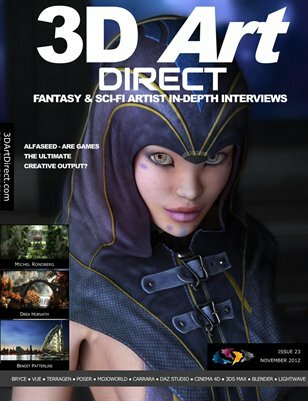 Each is illustrated with a basic ‘real world’ test render to show what actually loaded up in our DAZ Studio 3 test bed software.